West One is the original and still the most iconic mixed use development in the city! A choice of bars, restaurants, shops, coffee shops, supermarkets can be found on the ground floor or within seconds. Our apartments at West One offer an unrivalled choice of “true” city living with absolutely everything on your door step, if you belong in the city then you belong at West One! We have a variety of studios & apartments in West.One, with both shared & en-suite facilities. Sheffield is a vibrant, cultural European City and the city centre is the ideal place to work, play & live. With every type of bar, pub & club imaginable it’s a party goers heaven. Division Street & West Street are still the most popular destination, to both live & party, with Revolution and The Forum on Division Street still the old favourites for a night out. West Street is a central location for both Sheffield Hallam, and also Sheffield University with the Mappin St facility on the doorstep and all other campuses within walking distance. 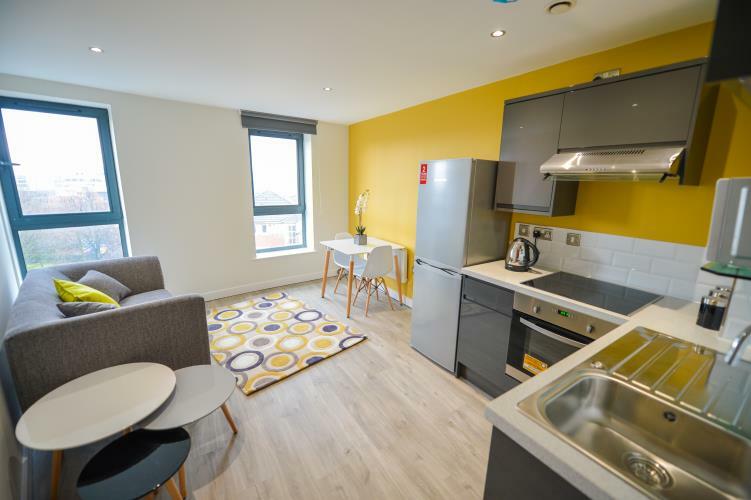 Our West.One student apartments are perfect for students looking for accommodation in Sheffield city centre. Please contact us for full information, availability and viewings by emailing us on city@westonespace.com or calling 0114 272 2400.